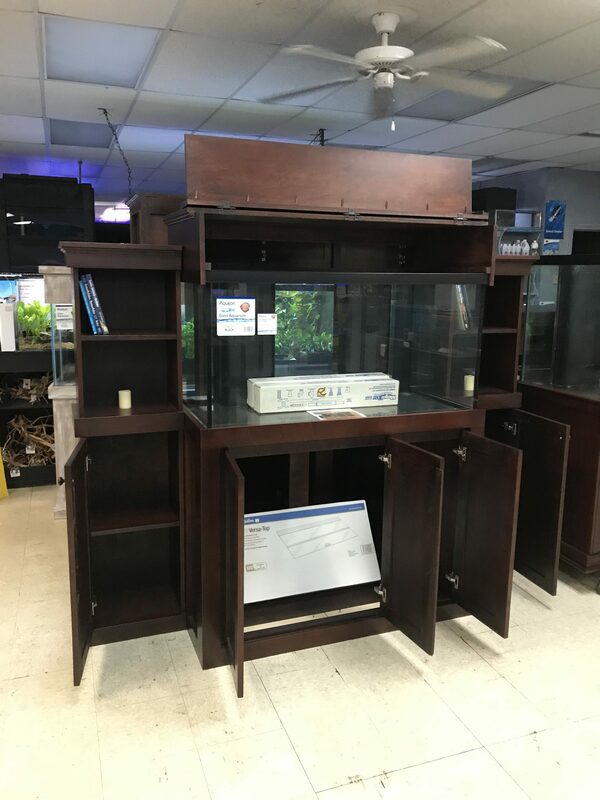 The Fishy Business 120 Bookshelf Design epitomizes a traditional feel while incorporating a warm intuiting aquatic landscape to any home or office. 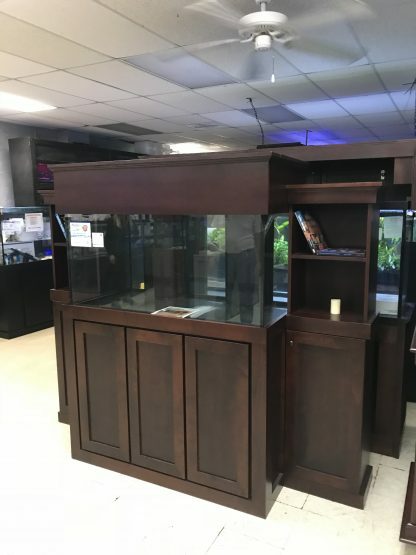 The Fishy Business method of offering an over-sized sump capacity with an over-sized filtration system marries the Eshopps S200 Protein Skimmer with the RS200 Eshopps Sump for maximized efficiency. 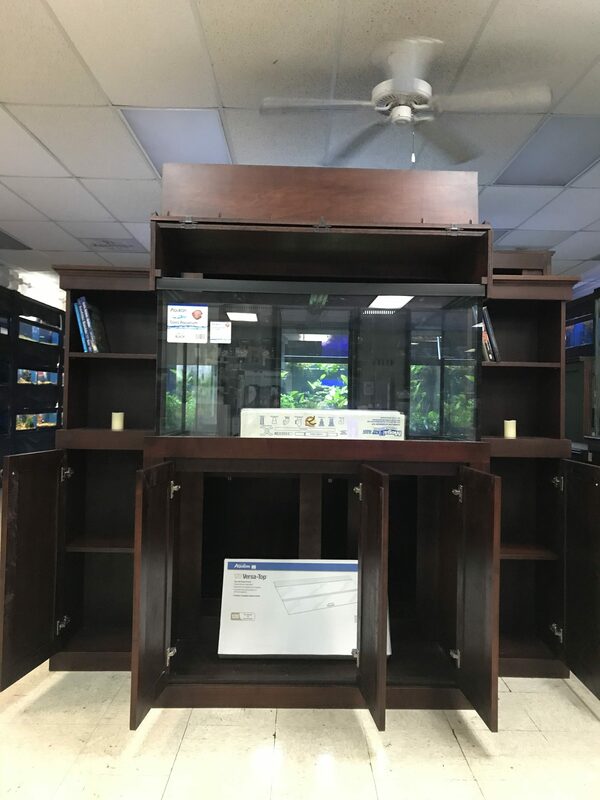 Two Sicce 3.0 return pumps isolate each overflow with a dedicated pump allowing for a secure return while two Sicce Voyager 4 circulation pumps ensure a strong current throughout the aquarium. 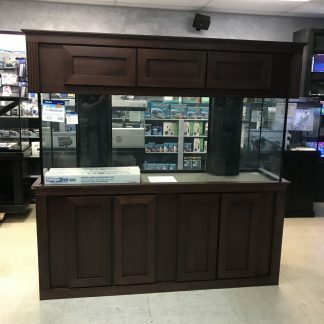 The use of real ocean seawater and man-made live rock ensure that our ocean are protected from harvesting and your ocean begins with the best possible beginning it can have. 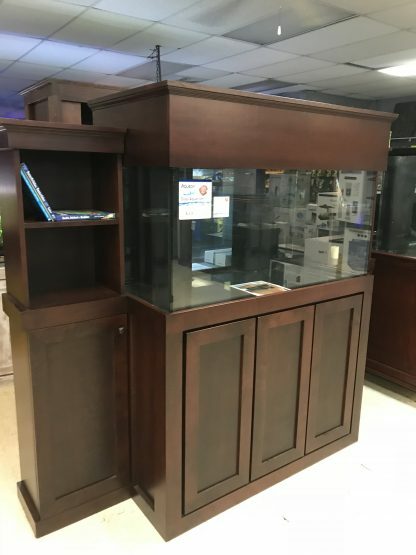 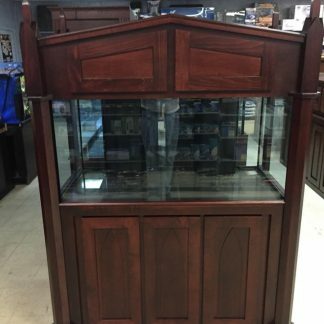 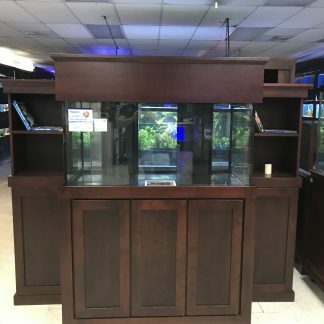 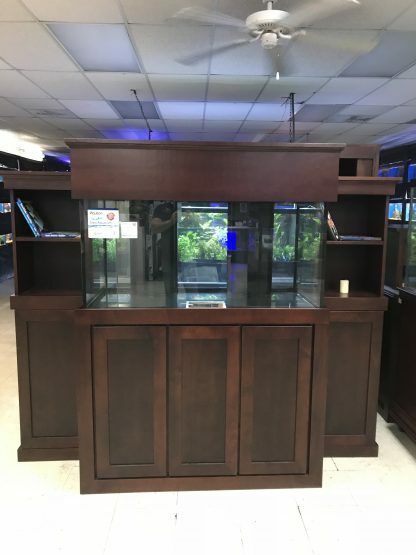 “Top” all of this off with 2 Fluval Reef Lighting LED units and your 120 Gallon Bookshelf Aquarium from Fishy Business will bring the beauty of a saltwater oasis into any home or office.